Perks of being a food writer? aplenty! Being invited to workshops, restaurant review are among few. I have had taste of such only twice so far. 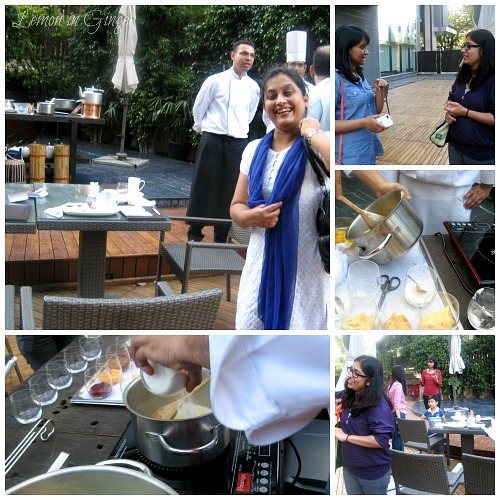 Last week I was invited by Marketing team of Courtyard by Marriott Pune City Centre for a Churros making demonstration and tasting. Google is always the saviour! Churros – search – hit! So I went armed with little knowledge of churros. Churros were created in Spain by the shepherds as an on-the-go alternative to Doughnuts. They wanted something quick and easy and hence, churros were born. Even today, churros are famous and eaten as on the go snack with coffee on the streets. It is usually freshly fried and served when crisp, dipped in chocolate sauce or rolled in sugar. They are made from a choux pastry piped with a star tip and then deep fried. For the workshop CY Marriott had arranged the set-up in the open patio area and a handful of bloggers had been invited for a one-on-one interaction with the team. The event started with a quick round of introduction with the team, comprising of Mr. Jai Chugh, Director of Food and Beverage, Hanisha Lalwani, Assistant Marketing Communication Manager. 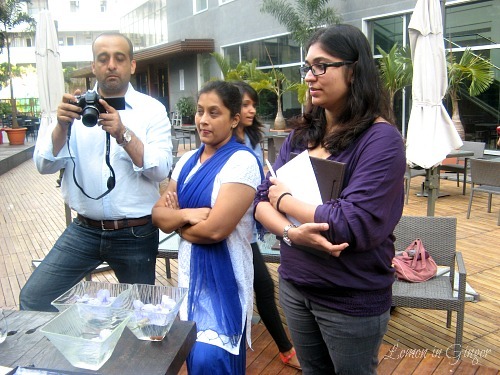 The workshop was conducted by Chef De Cuisine, Rohan Sowani and very well demonstrated by Chef Aniket. Chef Rohan took us through a quick history and creation of churros and then we were invited up close to the table to view the churro making. Churros as mentioned above are made using choux pastry dough, which is quickly cooked in a pan over medium flame. The dough comprises of simple and everyday ingredients – unsalted butter, flour, eggs, sugar, salt and water. This is important as shepherds made these on-the-go, so ingredients were few and commonly found. The recipe involves boiling water and then adding butter. Once they gel together, add in flour. Flour is cooked and stirred continuously till done. Stirring is important so that the flour doesn’t get burnt. The batter is removed from flame and allowed to cool for few minutes. Eggs are added in the end and not cooked or else they may curdle. The cooled batter is filled in pastry bag with a star tip #14. Different shape churros are piped directly into hot oil and deep fried. They are then rolled into various toppings/ dips. They are best served fresh with Tea or Coffee. CY Marriott has recently launched churros as part of their Menu with Tea or Coffee in their MoMo 2 Go pastry shop. The idea is to initiate a customer into something new and exciting than just biscuits with Tea. They have chosen and developed 5 different dips – melted chocolate, cinnamon sugar, raspberry compote, caramel and apple compote. After a pleasant interactive session we sat down for churro tasting. Since I am not a tea drinker so I did my tasting with a cup of cappuccino. The word for churros is mmmm. They are soft, nice and chewy. When you sink your teeth in, you do relate the taste similar to that of a doughnut. The trend is taking on and the effort of the team is successful. The pricing is also very reasonable @ Rs. 175/- for a cup of tea/ coffee and single serving of churros. I met up with fellow bloggers, whom I didn’t know were present in Pune, so it was great as I am always on the lookout for Pune food bloggers. I would not be posting a detailed recipe of Churros here as it is a vegetarian blog and I don’t cook with eggs. But I will surely be making my version of eggless churros and posting soon. 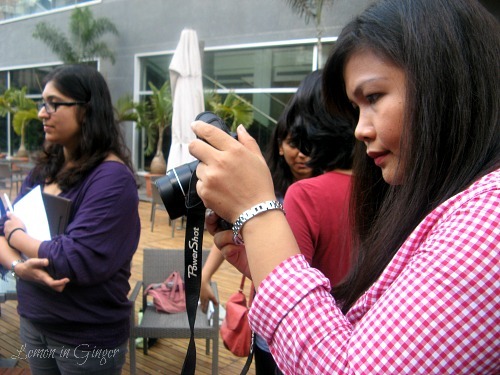 Read what Tes and Farzana are saying about the churros workshop. Thank You Meenal & Team at Courtyard by Marriott Pune City Centre for a lovely evening and initiating me to a new tea munchie.